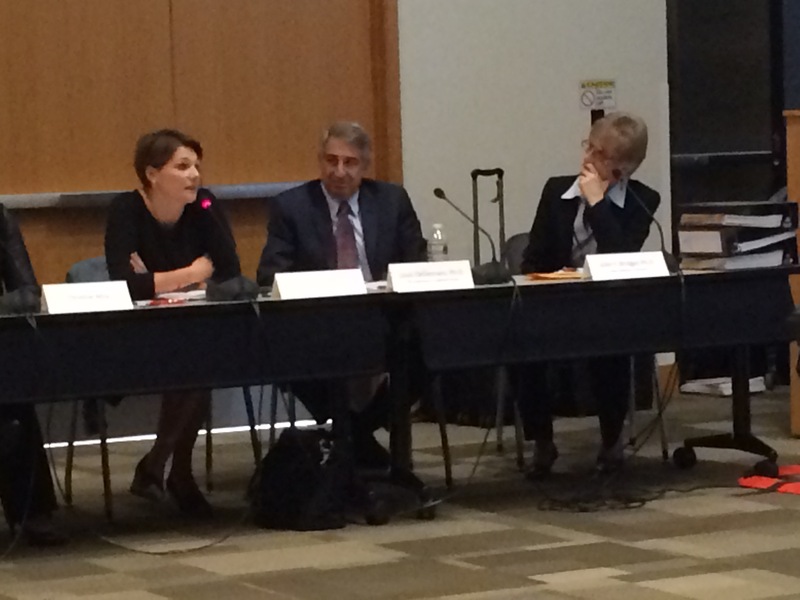 Wanting to make sure the patient voice is heard when it comes to the development of new therapies, The Leukemia & Lymphoma Society (LLS) recently brought a delegation to Washington D.C. to share personal experiences with the U.S. Food & Drug Administration (FDA). 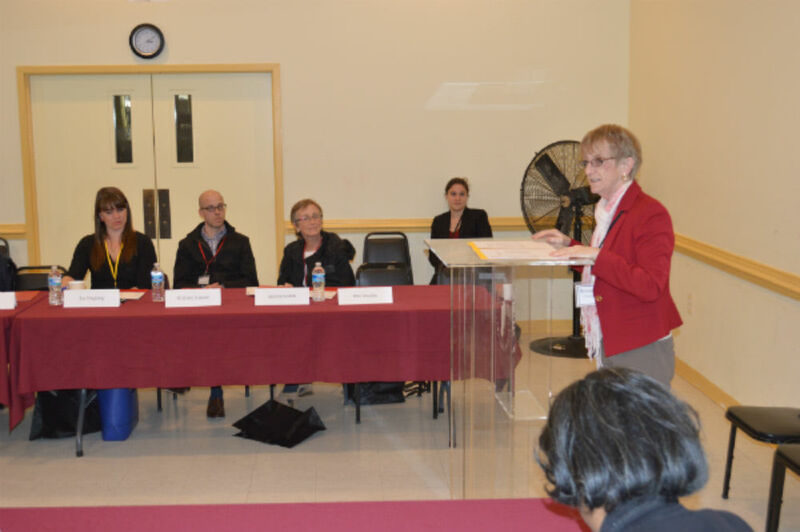 Plans for a research study to learn what patients and caregivers are looking for in new treatments were also presented. LLS’s Office of Public Policy knows the importance of pushing for new drug development, but you can’t consider a new therapy without also looking at its impact on quality of life issues such as short- and long-term side effects. That is especially true for a disease like acute myeloid leukemia (AML), one of the most difficult cancers to treat and where there is a critical need for better therapies. 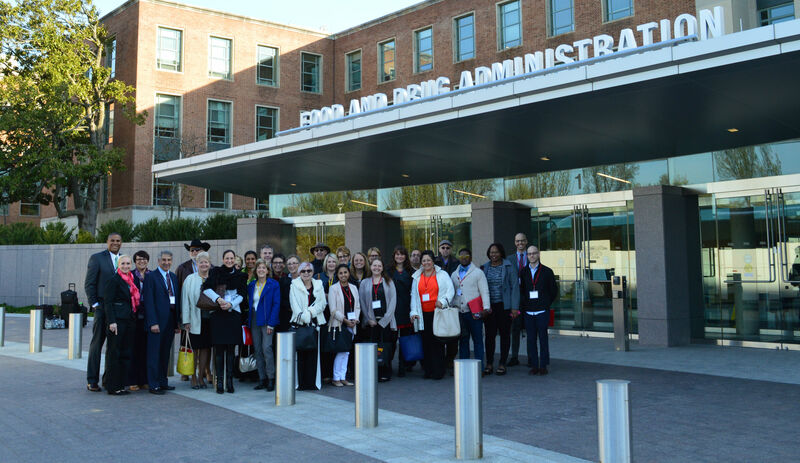 To emphasize this point, LLS President and CEO Louis J. DeGennaro and I led 14 AML survivors and seven caregivers, along with several LLS leaders, on an unprecedented visit to the FDA’s offices on April 6. The group met with Richard Pazdur, M.D., FDA director of the Office of Oncology Drug Products, and about 20 of his staff and colleagues. Throughout the meeting the survivors, caregivers, Dr. Pazdur and his staff engaged in a round-table dialogue about living with and fighting AML. The FDA is convening public meetings with patients and caregivers in order to capture patients’ experiences with various diseases and treatments. However, the information collected tends to be very qualitative. We wanted to take the next step in terms of capturing patients’ preferences in a scientific, reproducible way so that the FDA could continue its efforts to advance the science of patient engagement in its work to review and approve new therapies. We reached out to The Johns Hopkins School of Public Health and teamed up with associate professor John F.P. Bridges, Ph.D., to develop an innovative research study that would provide that information. 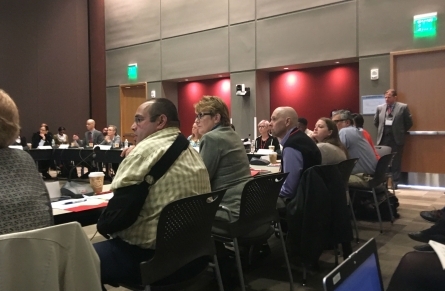 Input was solicited from a stakeholder committee of LLS staff members, industry representatives, patients, caregivers and clinicians, and a community stakeholder committee, comprised of 17 patients and eight caregivers. The resulting study, “Quantifying Patient and Caregiver Preferences for the Treatment of AML,” was designed to understand patient experiences and expectations, their AML-related worries, and their preferences for the benefits and risks of treatment. We want to show how people make their treatment decisions and what they are willing to sacrifice for fewer side effects and better outcomes. For example, when diagnosed with AML, patients usually have to be admitted to the hospital immediately and their stay may last for up to 45 days or longer. What would a more ideal therapy look like and how much would they be willing to tolerate? The survey was tested with 25 patients and caregivers and preliminary results shared with the FDA. The pre-test results addressed time spent in the hospital, their perception of treatment options and their ability to make treatment decisions, side effects and long-term function, and the emotional burden of the disease. It was clear that study participants wanted to be heard – about better treatment options for AML and quality of life for patients. In fact, there were 13 “worries” that patients and caregivers alike said had the most impact on their clinical as well as psychosocial well-being. While it is not unexpected to think that fear of death would be the top concern, the second biggest worry – long-term side effects – drives home the need for newer and better treatments. Rounding out the top five worries are: spending a significant amount of time in the hospital; coping with the emotional demands of the disease and treatment; and, becoming a burden to caregivers. Side effects reappeared as the 8th most prominent worry, and choosing a treatment option in a short amount of time, typical with an AML diagnosis, was also a key concern. The survey also included questions to measure patient and caregiver preferences for the benefits and risks of AML treatments, including side effects (usually short-term and manageable) and long-term effects that can be harsh and not detailed on drug labels. The next step will be to further refine the survey based on input and expand to between 100 and 200 people over the next six to nine months. Ultimately, our hope is that the results will be used to help ensure that both the FDA and drug manufacturers better understand patients and caregivers perspectives and include their preferences in the drug development process. Bernadette O’Donoghue is LLS’s executive director of policy development and regulatory affairs.